…that they will now be managed by Scooter Braun! Scooter is one of the most wonderful managers in the music business and now he’s taken on quite a feat by becoming the manager of The Black Eyed Peas! …Justin Bieber, Dan + Shay, Martin Garrix, Ariana Grande, & Tori Kelly! Scooter made a name for himself by discovering Justin Bieber and honestly, I was stunned when I heard the news that he’s taken on The Black Eyed Peas for management! The confirmation came through on July 8th when Scooter added the BEP logo to his artist roster on scooterbraun.com/music. He displayed it proudly, but last night was when the news was sparking up and the first time I had heard of such a thing! Talk about news traveling slowly! The Black Eyed Peas have made their name by being futuristic and by making dance hit after dance hit! From “I’ve Gotta Feeling” to “Boom Boom Pow”, the Peas did it BIG, and after a long time off, it’s high time they got back together! 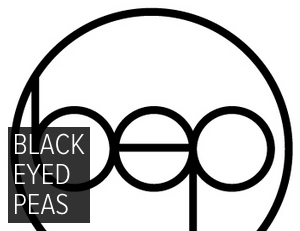 I’m so excited for BEP to be a thing again! I’ve been waiting and waiting and the time is almost here! They used to be managed by Polo Molina, and I don’t have any word from his camp regarding the split! I’m not too sure why Polo has parted from the BEP family, but I hope there’s no bad blood. Scooter will not have control of the solo careers of Fergie or will.i.am. from what I’ve heard, but he will have say over the day to day activities for The Black Eyed Peas as a band! I’m excited to see how this pans out! I really am! Scooter has his work cut out for him, but I know a seasoned manager like him should be up for the challenge! Can’t wait to see The Black Eyed Peas on top again! Congrats Scooter!